Although Manchester may not share too many similarities with the Dutch capital of Amsterdam, one resemblance to be drawn is the ever-growing presence of cycles on the roads. Now, there’s no doubt that Oxford road doesn’t quite share the same charm as Dam Square, but it does however share the same ‘Dutch-style’ cycle paths that run parallel to the main roads. With the increasing numbers of cyclists on the road, it comes with no surprise that the number of cyclist-related injuries has also been on the rise, with 1,011 pedal cyclists being killed or injured in the UK per billion vehicle miles. Cyclists are already urged to take strict safety measures when out, such as wearing reflective clothing and following the rules of the road. However, the introduction of the ‘mirror indictor’ may just be an extra step in the right direction. With ‘mirror, signal, maneuver’ being a basic skill with motorists, one Cheshire based company has taken this to the cycle lanes, with a hand-held device that will allow cyclists a greater perspective when signaling to turn. The device fits in the palm of your hand, and incorporates a shatterproof mirror and an indicator, something that they hope will reduce the numbers of casualties on the road. With the introduction of this new gadget, the Northern Quota took to Oxford road to see what cyclists thought about the idea. 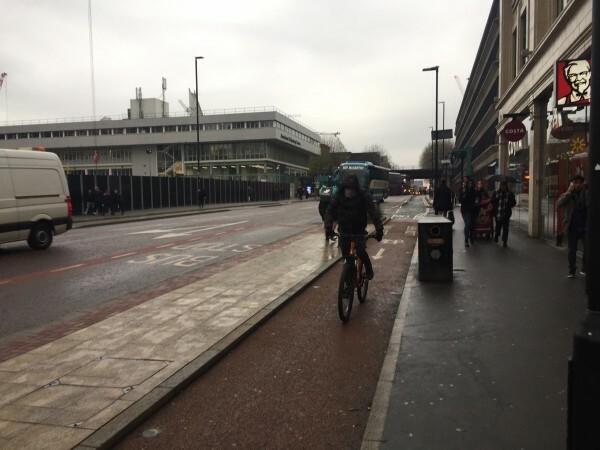 “It can only be a good thing for cyclists like me, there have been too many times where I go to turn right, pull out into the middle of the road and have just avoided an overtaking car. “The mirror is a good idea, actually I can’t believe it’s not been thought up before." At a time where the push for greener modes of commuting are only getting stronger, this nifty device may just help to keep everyone a little bit safer on the roads.